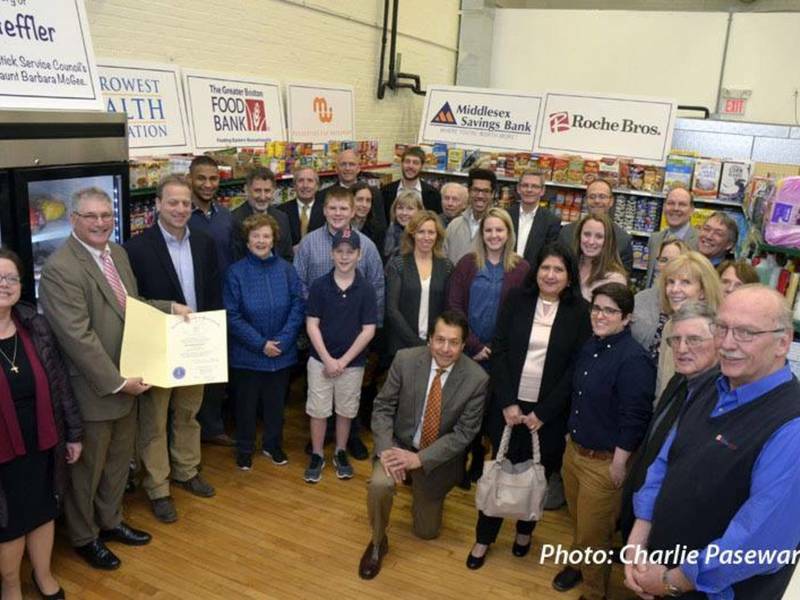 NATICK, MA—The Natick Service Council celebrated this week the grand re-opening of the Heart Healthy Food Pantry on Thursday, the cumulation of a capital campaign that raised $50,000 for a major update to the facility. The purpose of the capital campaign was to grow the food pantry’s capacity to serve more residents and distribute more food to those in need, announced the Service Council last year. The project, which began last May, includes a new rear entrance and ramp that leads directly to the expanded and redesigned food pantry. NSC’s food pantry operations expanded over the past year when the food rescue program was introduce and the amount of food given out increased significantly, said last year’s announcement.